Welcome to 625 Fariston Dr. in Wynnewood! 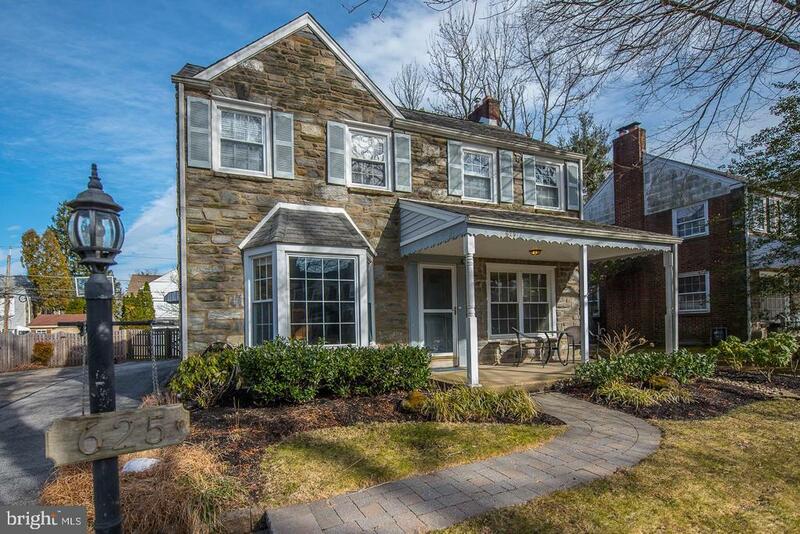 This 4 bedroom 2 and 1/2 bath colonial home is situated just steps from South Ardmore Park in Lower Merion Township! Entering the home through a covered front porch, buyers will immediately notice the beautifully finished original hard wood flooring, and natural light. The main level features an ample sized living room with an original brick fireplace (converted to gas) perfect for entertaining or lounging. The dining room offers a large bay window and the space for family gatherings. The updated eat in kitchen offers dark granite countertops, plenty of cabinet space, built in oven/range, and all the amenities todays buyers will desire. Through the kitchen sits a bright family room with sliders leading to a patio and quiet back yard space. A well situated powder room completes this level. The upper level master suite features a modern master bath with white subway tiling, pedestal sink, and a glass stall shower. The large master bedroom offers 2 large closets, yet enough room for an armoir, or added built ins. The hallway bathroom has also been modernized and updated recently to offer buyers a tub/shower on this level. 3 guest bedrooms (brand new carpeting in 2 of the 3) complete this level. The finished basement allows additional entertaining/recreation space and storage. This home has been very well cared for by its current owners which youll see in all the details. Come take a look at this home soon as it wont last long!